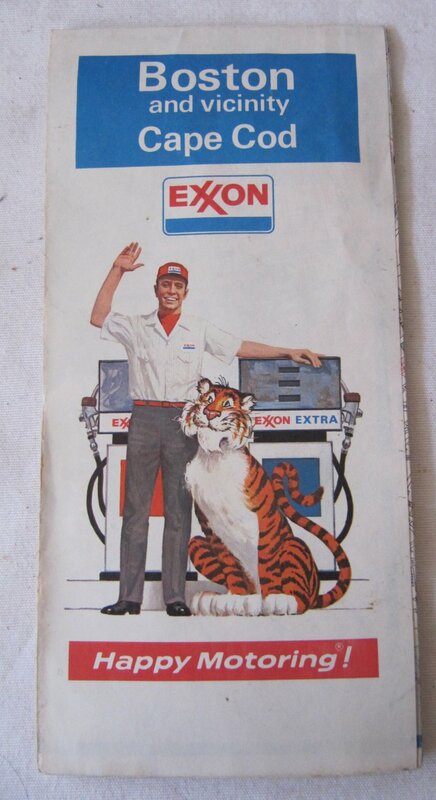 > Map front cover is printed in color and reads: Boston and vicinity Cape Cod Exxon Happy Motoring! CONDITION: Map is in very good condition. Paper has no tears or rips. There is minor age-related discoloration at the edges and fold lines, a name handwritten in ink on the inside, and an old 1 inch brown stain on the inside.